Simply send us your contact details and the location of the land you wish to have evaluated using our Registration Page and we will provide an indicative quote within 24 hours. Solar farms are major investments earning substantial revenues, so they can and should pay premium rents over agricultural values to landowners. Solafields can provide indicative rental prices within 24 hours of receiving an enquiry, with premium rental values for good sites, indexed to inflation. The Government is constantly restricting the opportunity to develop solar farms due to budgetary pressures. Solafields can give you an overview of your land’s development potential for a solar farm within 24 hours and our in-house grid experts enable us to assess grid opportunities and constraints in record time. Solafields will fund and undertake all initial surveys with no obligation on the landowner. 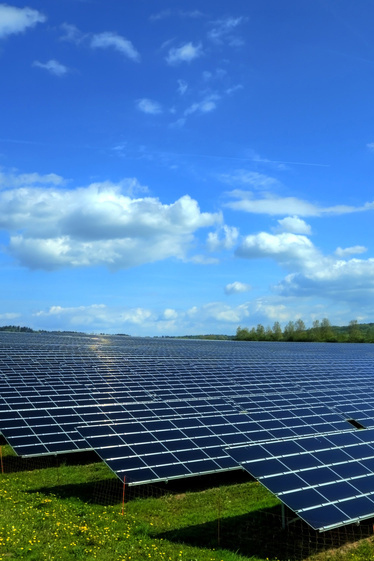 If the initial feasibility studies for the solar farm are positive then we will fund your land agent and legal fees for the process of drawing up a suitable lease for the land. Throughout the process there should be no cost to the landowner, just rapid progress towards the development of the solar farm and the resulting high rents that the farm will pay. The most time-consuming and risky aspect of a solar farm development is securing planning permission. It usually takes a number of months to design the scheme, meet the planners, consult locally, amend the design depending on the feedback given, and finally secure planning permission. Once approved, construction can be completed within 3-4 months.